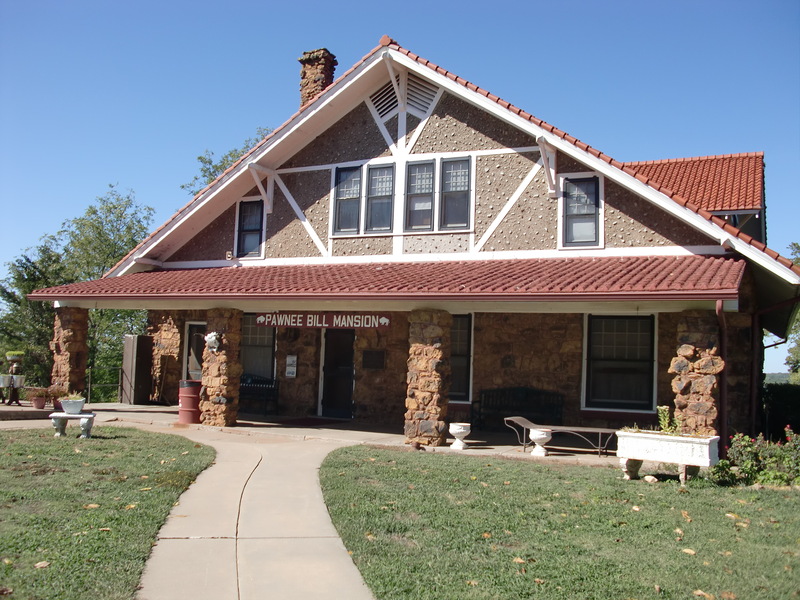 After an overnight stop in Wichita, we continued south into Oklahoma and, once again, dropped off the freeway for a side trip. Bubba takes over the narrative. We stopped off at the home of Pawnee Bill. 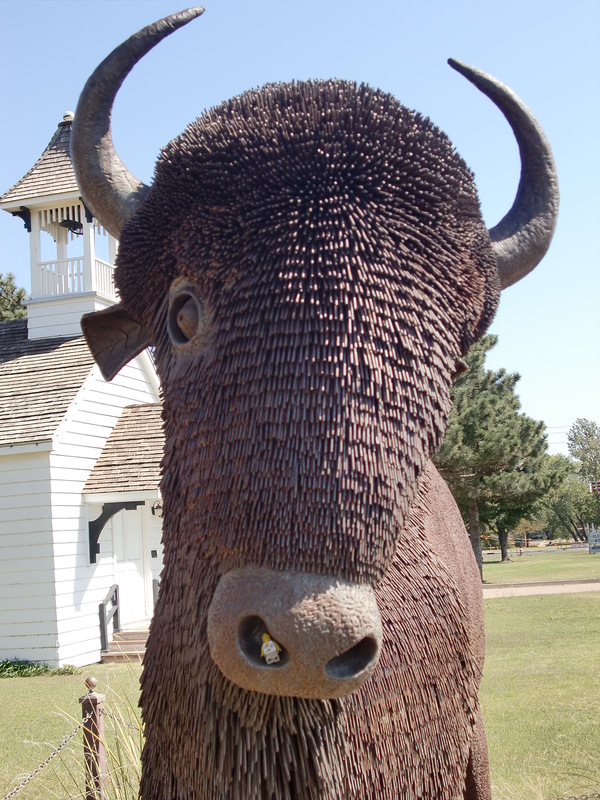 He was in the Wild West Show business with Buffalo Bill so it was fitting that we visited his mansion. 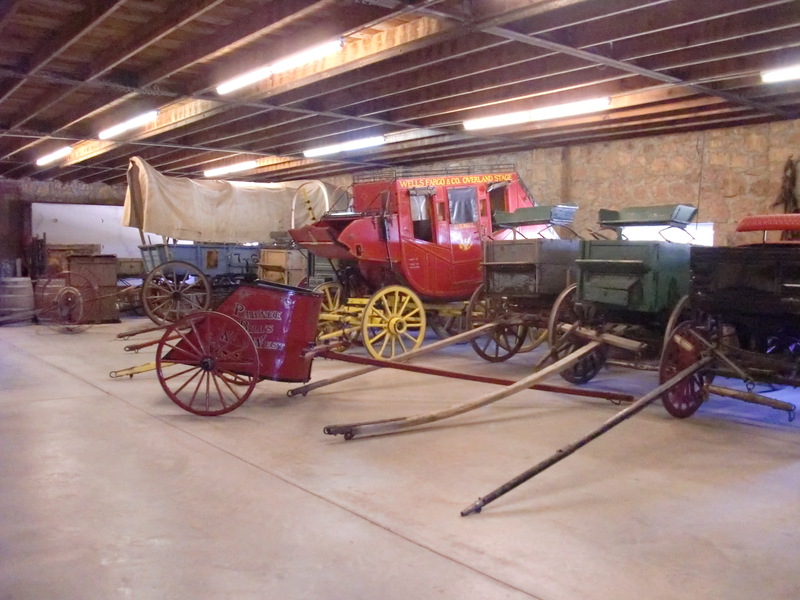 The Wild West show traveled the world and gathered a lot of wagons. I got the idea this could be an alternate form of travel for me. I still harbored the suspicion Rick and Spider might take me back to that place where they found me. The problem with all these rigs was that they are missing engines. They needed a means of propulsion. Looking at all the old posters around I could see they were powered by some four legged beasts. I didn’t see any horses nearby but I did see these guys. This gentleman in particular seemed well suited for my needs. All I had to do was saddle him up and we could be back on the road. Or maybe I could politely persuade him…he is pretty large. I got up right next to him and gave a shout but he must not have heard me. I went around to the back end and gave him a swift kick in the pelt but his fur was too thick and he didn’t feel that either. I decided that perhaps I could just lead him around by the nose. I climbed up and grabbed on to a nostril. He got a startled look on his face. What followed is now called the great stampede of 2011. 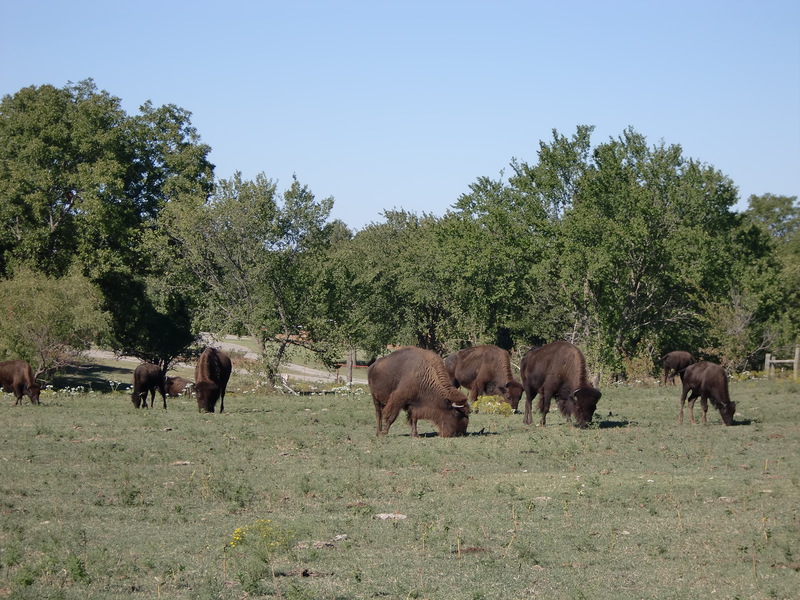 Buffalo tore through the ranch destroying everything in sight. 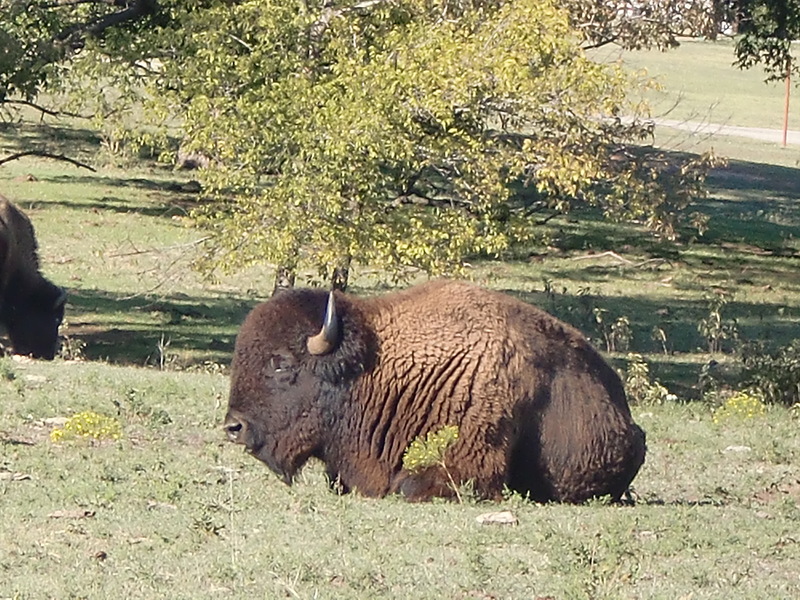 The ranch foreman took issue with my bison interference and sat me down for a chat. I looked around for something more my size and found a small beastie that I could probably jump on but someone beat me to it. I guess I’ll stay in the car after all. The suspense will soon be over for Bubba. We will reveal our destination to him soon. 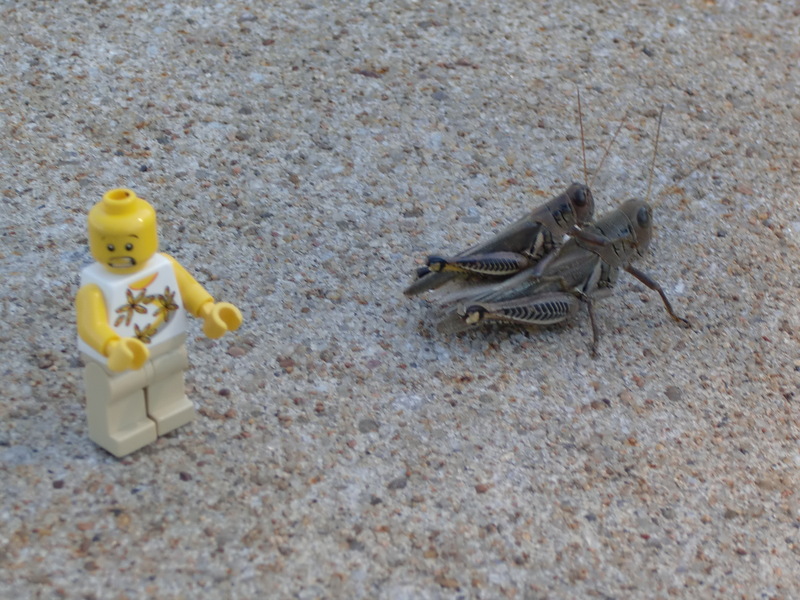 This entry was posted in Holiday, Humor, Legos, Oklahoma, Road Trip, Travel and tagged Buffalo. Pawnee Bill. Bookmark the permalink.